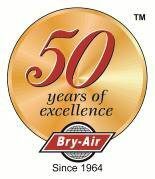 Bry-Air, Inc. environmental control systems allow for consistent control to efficiently prevent the effects of moisture damage in the marine industry. Humidity problems in the marine industry are a constant battle. Moisture causes damage during new construction, attacks vulnerable interior surfaces during sandblasting, damages engine parts and causes millions of dollars worth of damage to moisture sensitive cargo. Better quality and faster shipping periods are being demanded today as more and more new markets are being tapped by manufacturers and exporters. The time lag between a ship arriving at the port with a particular cargo and leaving with another is getting shorter and shorter. At the same time there is also a demand that the ship’s holds are clean and dry before a new cargo is loaded. These concerns, coupled with the fact that weather conditions are rarely perfect for efficient and quick drying of tanks and holds, means that today’s shipping companies must consider desiccant dehumidification as the most efficient option to avoid humidity related delays, contamination and loss of business. Ocean-going vessels such as oil rigs and oil tankers are often stored for long periods of time during which they frequently become damaged due to corrosion. Dehumidification can effectively eliminate corrosion and prevent millions of dollars in maintenance and refurbishing costs. All sandblasting and coating/painting operations must utilize 100% fresh air for safety reasons. The presence of moisture in the air can cause rusting (blushing) and adhesion problems in the application of the coating. Again, dehumidification eliminates these problems and speeds up the process. Controlled dry air maintains a clean surface, free from condensation, for optimal corrosion prevention. Another humidity concern is the fact that cargo has a tendency to “sweat” when it is colder than the humid air in the cargo hold. As a result it can condense moisture from the air resulting in rust spots, stained labels, dull finish and soggy cartons. This is particularly true of moisture sensitive cargoes such as tobacco, fine chemicals, coils, aluminum and steel sheet, furniture, canned goods, cocoa, coffee beans, etc.. The use of a Bry-Air, Inc. desiccant dehumidifier to dry the cargo hold will completely eliminate these problems and allow the ship to arrive in port with the cargo dry and intact. Using the above formula, the dehumidifier will take about three weeks to dry the ship to desired conditions after which the unit only has to run 2-3 hours per day to maintain conditions. Prevention of damage to sensitive mechanical and electronic equipment. Elimination of corrosion of stored components and machine parts in shaft galleys and pipe galleries. Reduction in drying time of ship holds. Prevention of cargo damage due to excessive humidity. 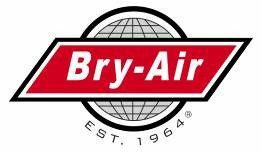 Bry-Air, Inc. has supplied many dehumidifiers to the marine industry and military for ship mothballing, equipment storage, sandblasting, coating, and cargo hold drying.